Flaky butter tart dough, filled with Porto's own dulce de leche and dusted with powdered sugar. 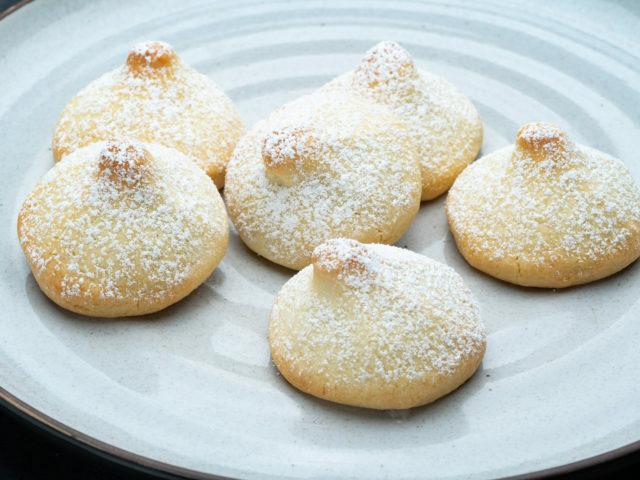 Follow Chef Adrian Porto as he walks you through the baking instructions for the Dulce de Leche Besito Cookie. If you misplaced the instruction card that was provided, click here to view it.